and its relation to Sri Lanka Unites. 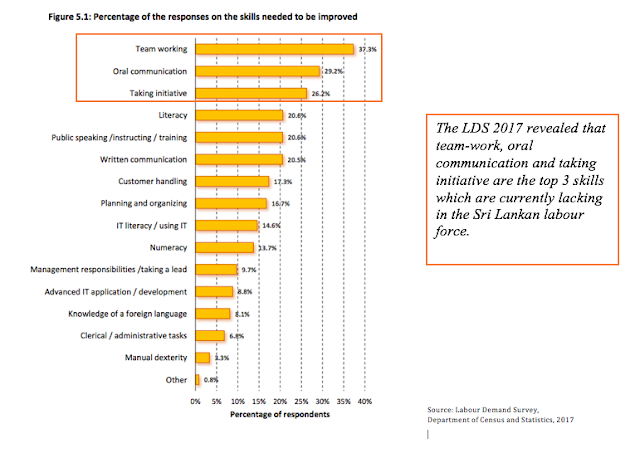 In 2017, the Department of Census and Statistics in Sri Lanka surveyed 3500 companies across the country and its `employers to conduct the first “Labour Demands Survey” in Sri Lanka. As SLU enters the 12th year of operation we are reviewing ways in which we may have contributed to Sri Lanka's economy over time. The 2nd objective was of specific interest to SLU because of our ability to directly influence these statistics. We took a closer look at Chapter 5 of the report titled “Future Hiring and Required Skills”, specifically on the section where the skills and labour needed for the private sector, was also assessed through the survey. Teamwork, oral communication and taking initiative were recognized as the top 3 skills which needed the most improvement. According to the figure above, more than one-third of the firms mentioned that the ability of teamwork in is needed for the employees, who were not performing up to standard. Oral communication, taking initiative were the next highly important skills highlighted by the management of the firms which have to be improved among poorly performing employees. 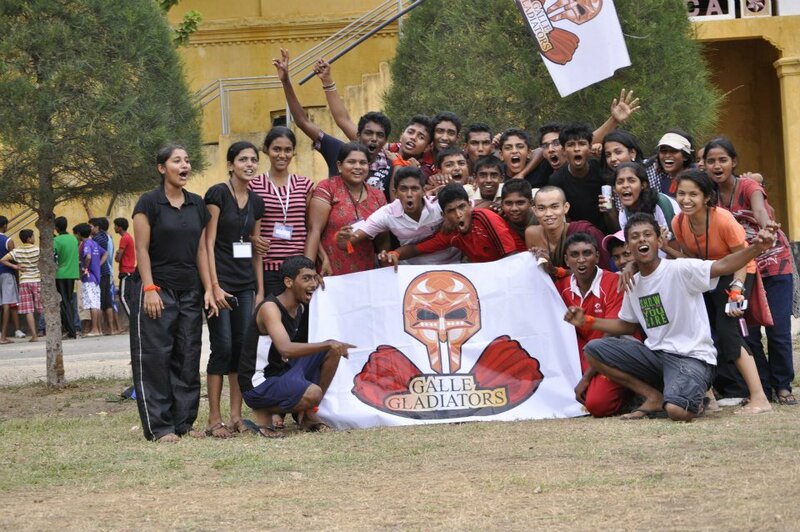 Sri Lanka Unites has been training young people to be leaders in the country for over a decade. SLU is happy to note that these three skills happen to be the very core of SLU leadership training. 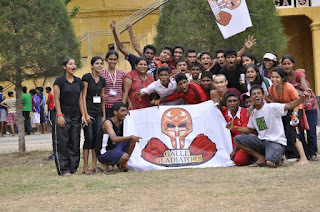 Thousands of youth have been trained over the last 11 years. SLU believes that young people must unite along ethnic and religious lines to bring true transformational change. However, despite the heart to create change, SLU believes young people lack the very basic skills to be the change makers they long to be. Therefore, with nation-building as the ultimate focus of bringing young people together, “leadership training”, which includes the very skills in demand, is essential. 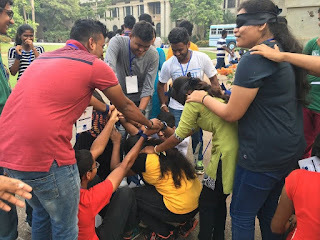 Leadership training also happens to be a core pillar of the organization and it is a mandatory part of training for each and every student/volunteer who walks through the doors of SLU. The following is a quick summary of how it is done. 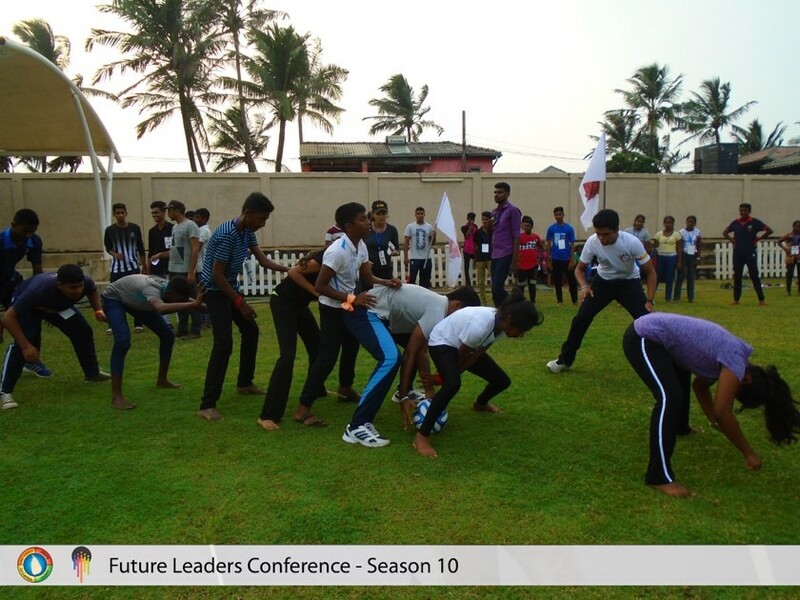 Activities are conducted at leadership training sessions by SLU staff and senior volunteers, who act as facilitators. These facilitators have all received ample training. Once an activity is conducted, the facilitators de-brief the trainee on the intentions of the activity. Sri Lanka Unites offers school students with multiple opportunities to take their own initiatives and test the possibilities of being pro-active in the face of a problem instead of reactive. 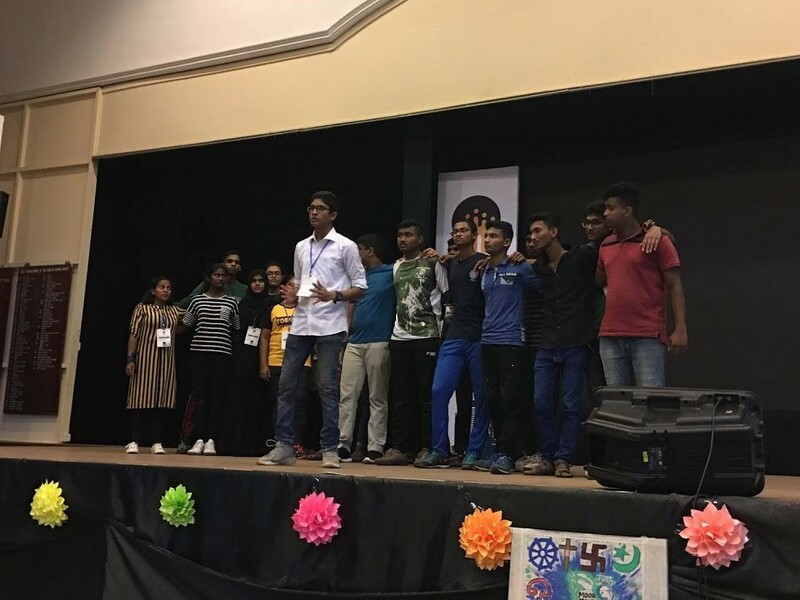 The “Champions of Change” program partners two schools across different ethnic/religious backgrounds, and encourages them to conduct a social action project together. This is a learning curve for many students who have never held a leadership role where all decisions related to the project are made by them. SLU facilitates the process, but we watch as they learn from their mistakes! We have many stories which verify that the education system does not provide adequate leadership training and so we are not surprised that the above three factors are required to the intensity reflected through the survey. Were the results of the LDS a result of a larger issue? The lack of priority given to harnessing soft-skills through the education system is one possible root cause of this issue. Inability to work as a team, which in essence means to work towards a common goal. The learning environment in most schools focuses on preparing children competitive exams, starting at from age 10 (grade 5 scholarship exams), to age 18 (university entrance). - The notorious “Grade 5 scholarship exam” is when most children start competing fiercely with their peers to get scholarships into better schools at the tender age of 10 years. - Students don’t see themselves as part of a collective, but as individuals who are destined to run a race by themselves. 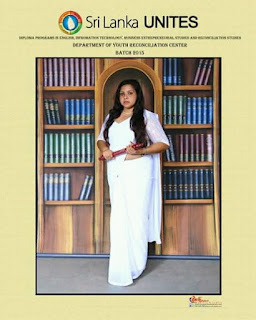 They are taught that achievement comes by surpassing others in every sphere possible; to be “the best”. - The sense of competition consumes a student right throughout their formative years until they sit for the Advanced level exams. The final fierce competition, gets unhealthily competitive, as students fight to get access to the limited seating in a local university. Every year we have cases of suicide once A-level results are released, where students who fail to get into university see no other options left in life. Similarly, oral communication is a skill rarely harnessed in school students. - In most schools, the vast majority of students do not take part in extracurricular activities. The general definition of learning is to memorize school textbooks and re-write the very same text in an exam paper. 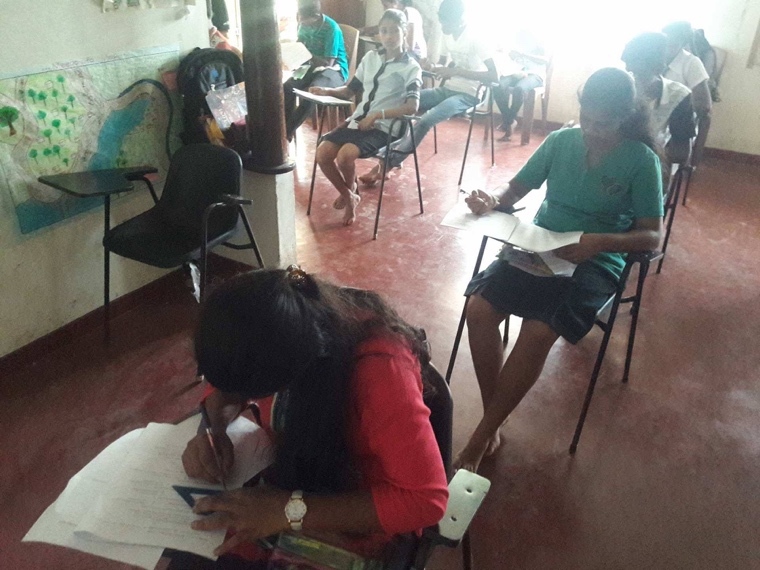 While acknowledging the importance of examining the extent to which young people have grasped an understanding of the subject matter, the Sri Lankan education system is essentially built along a model which fundamentally tests the ability of a child to memorize. - The textbooks have been designed in such a way that teachers take notes and students listen. - Most individuals spend a lot of time either at home or classes and hence does not communicate with or know how to communicate with new people. They are shy and backwards, without an ability to create conversations. The lack of such skills would most certainly impact their quality as individuals in the labour force. Consequently, “taking initiative” is barely a skill that is acknowledged, let alone practised. - The syllabus is a frame into which young students are forcefully directed. There are no opportunities which allow young people to take independent decisions. - The strict hierarchical structured of authority in schools and homes produce Sri Lankan youth who cannot take a decision let alone take initiative without “asking someone”, most often a teacher/parent. - The conservative norms which govern Sri Lankan upbringing thus produce youth who feel disempowered in the presence of authority. Taking initiative in the workplace would make a young person feel” disobedient”, as they would have been trained to think at both home and school. We sincerely hope the education system changes to include training on the missing skills needed in the country. It is exhilarating to know that our work contributes to the quality of Sri Lankan Labour! We believe that through our training, we ultimately contribute to our economy. We are motivated to do more! FLC was the life changing turning point in my social life. It's a great privilege for me to share my experience with Sri Lanka Unites. I would like to state, participation as a student in Future Leaders' Conference was the life changing turning point in my social life. Hailed from typical Sri Lankan family from East coast and brought up during civil war, I have inherited prejudice, mistrust and suspicion of other , along with a profound ignorance about each other. Therefore I invariably saw the ethnic issues in a ordinary view where the environment I belonged to made me wear different shades. I could often feel the clash and conflict between so called majority and minority the terms created for vote banks and political existence. It's obvious that the brutality of war, inter religious and inter ethnic contestation,never surpassed in the lamentable catalogue of human crime and turmoil, beneath the superficially and transiently harmonious state even in the aftermath of a conflict or a crisis and Sri Lanka is being ruined beyond restoration and development. I never ever imagined that one day, my attitude and imaginary concept of others who are not from my own community would change upside down, till the first day of Future Leaders Conference - Season 4 in 2012., where I knowing not what actually the event was about. I should mention, a student who refused the offer of a home made sweet from fellow student from different community on the first day, had shared his lunch with the same plate on the final day of the conference and it's none other than me. I'm glad that I've got brothers and sisters from another mothers across the island. SLU Future Leaders' Conference had paved the way for me to find new families and friends no matter what communal language, religion,race,cast, socioeconomic status they belong to. I acknowledge that Sri Lanka Unites family has been being the one of the mirrors for me to see and identify the hidden skills and talents in me. I owe to everyone who helped,guided and mentored me in every aspects , to be who I am now. Now I've extended the radius of my circles from millimetres to kilometres. I've come across tons of stories and journeys of people from different backgrounds. Everything seems to be unique and new. I strongly believe that experiences are the best way of learning and improve everyone for the betterment of tomorrow. 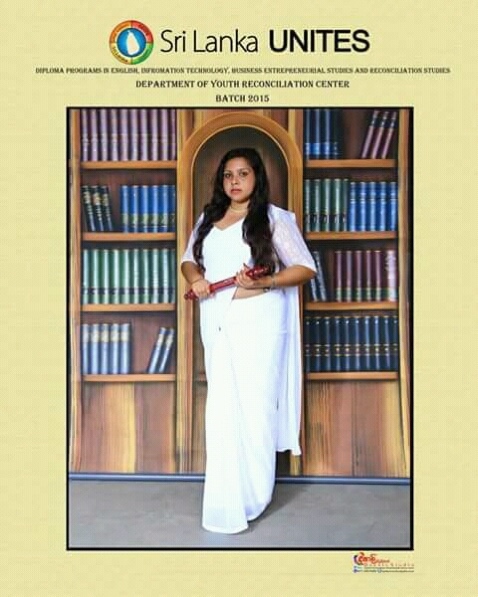 In a nutshell, what SLU taught me are, Everyone born for greatness and are destined to leave your mark on this generation, for in you, lies a potential history maker,a world changer and a trial blazer who could help write the brand new golden chapter in Sri Lankan era. Best is yet to come!!! How can I help? 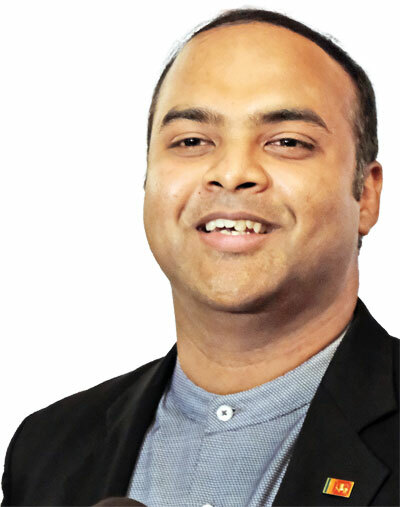 – The catchphrase made famous by customer service assistants has been put into practice by Prashan De Visser for most of his life. Prashan is the founder of Sri Lanka Unites (SLU), a youth movement which has in the past 11 years grown to around 20,000 young people from different ethnicities and religious backgrounds from 25 districts, all working to foster peace and reconciliation in the country. On Monday, August 13, Prashan was recognized by Britain’s Queen Elizabeth II, the head of the Commonwealth, as a Commonwealth Point of Light. This prestigious award honours inspirational volunteers across the 53 Commonwealth nations for the differences they made to their communities and beyond. 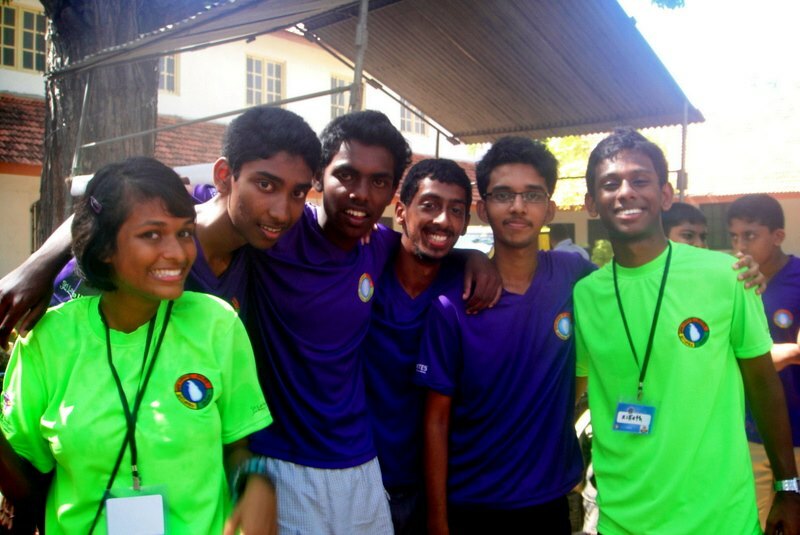 Prashan is Sri Lanka’s 2nd Commonwealth Point of Light and the 65th globally to receive the award.At present SLU has six reconciliation centres in Monaragala, Nuwara Eliya, Kalmunai, Mullaitivu, Puttalam and Matara for young leaders to engage each other and have discussions on promoting peace. The organization also helps youth find employment and higher education opportunities bringing growth and prosperity to their communities. 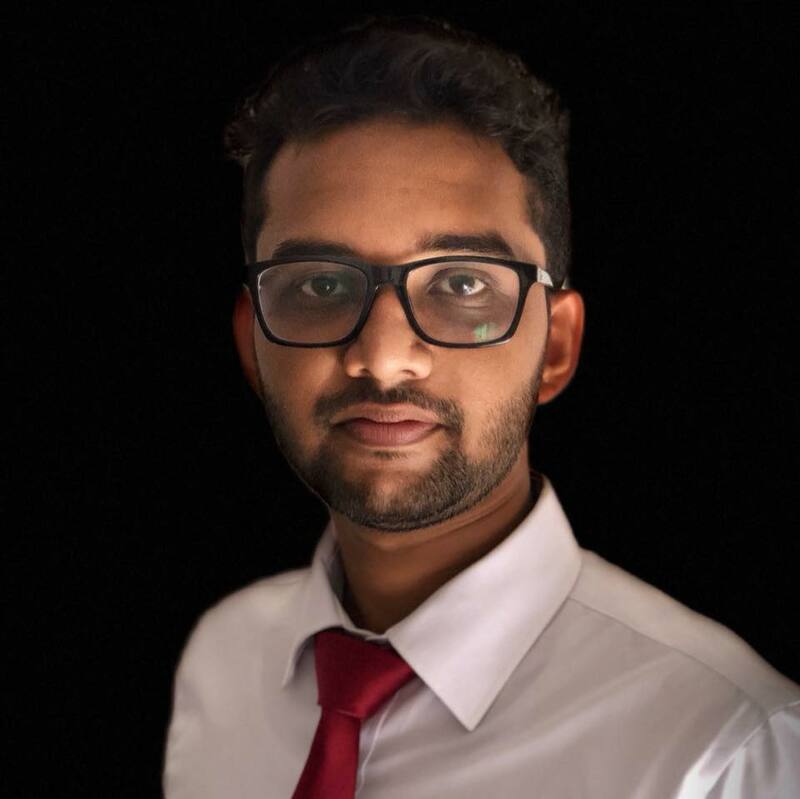 Hailing from Gampaha, Prashan is a past pupil of Wesley College and credits his family and school for fuelling the flames of his passionate work. “My parents from a very young age always opened our home to anybody,” he shares. When he was young, his parents opened an orphanage so he had “many brothers and sisters” growing up. “They always made sure I didn’t ever look down on a person based on ethnicity, religion, financial status, their ability to speak English or not,” he says. Receiving a scholarship to pursue his Bachelor of Arts in international affairs at Gordon College, Boston, Prashan was able to study urban communities and the indicators of what creates cycles of poverty and violence. “When you go to a foreign university you sometimes feel like the outsider,” he states. Proactive by nature, Prashan counteracted the loneliness by thinking of those who suffered more than him. “How can I help them out?”he repeatedly states throughout our conversation. Bridging barriers wasn’t easy. Not being invited to others’ homes, he invited friends into his dorm through his newly acquired skill of – cooking! “I hadn’t cooked a day in my life in Sri Lanka,” he chuckles “but I started by skyping my mother and watching her.” People got to know him better over a meal and during his four year stint at college “I felt like I had cooked for 500 people,” he laughs. But Prashan has also been on the other side of discrimination. After the death of his friend’s father in the World Trade Centre bombing in ’97 he honestly proclaims “I remember feeling so frustrated.” Sixteen years old at the time, he recalls going through radical assumptions that everyone in the North was a terrorist. However his new neighbour, a boy from Vavuniya changed his perspective. 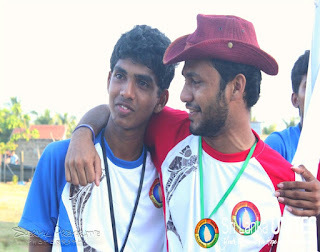 “He was a year older than I and was interested in joining the LTTE so his parents sent him to school in Colombo.” “I was very hostile to him as he was to me,” he states laughing“but we still played cricket together. I changed my thinking to, ‘everyone else is bad but this one is ok’.” Joining his new friend on a leadership training mission in the North, Prashan recalls seeing children as young as 13 being recruited in the war – some willingly, some forced. Prashan comments that roughly 96% of students today study in their own medium of language making them unable to speak with a person from another ethnicity. SLU emerged as a means to start a conversation. Conferences took place in Jaffna, Galle, Kalmunai, Kurunegala etc. 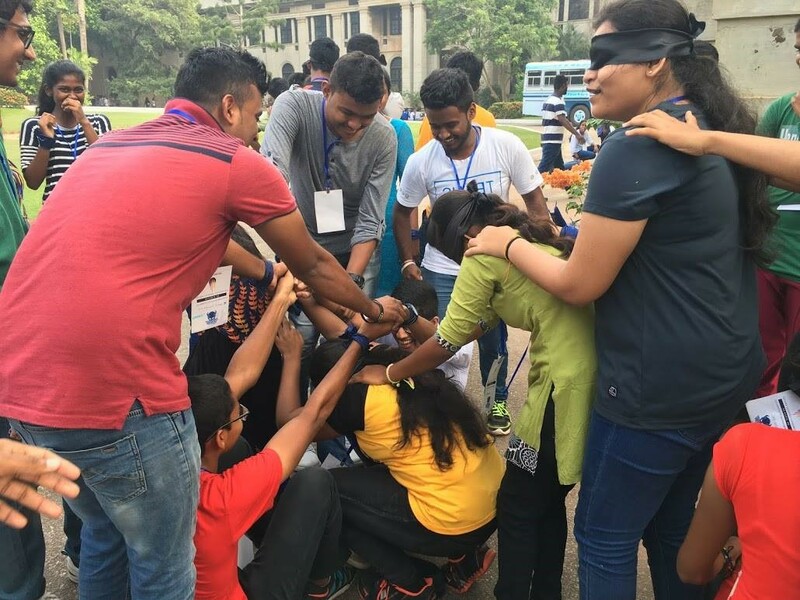 Advertised as the Future Leaders Conference where the best and brightest in Sri Lanka come together, Prashan happily recalls the positive response to the programme. SLU was able to strategically divide the young participants by ethnicity, race and religion engaging them in sports, discussion etc. By cheering for the same team and sharing grievances the young learnt quickly that “everyone suffered in the war” Prashan comments. Back home, SLU picked a leader to represent their school urging others to join his/her club and partnering them with another school from a different ethnicity. The students stayed in touch, visiting each other and even staying at each other’s homes some even going on to change their parents prejudices. Women leaders were a big emphasis for Prashan. “Women need to be part of the negotiating table,” he states adding that they add more advantages to peace building. Prashan has four indicators for success. Firstly breaking the cycle of violence which has dogged this country for over 30 years, resulting in a needless loss of life. With SLU “we’re building a proactive, independently thinking, engaging generation,” he shares. “Violence has been seen as a sign of manhood, as a sign or protection,” he explains adding that SLU projects “that violence is a lack of intelligence, a lack of capacity to think independently and a lack of maturity.” Steps taken towards reconciliation will also further benefit Sri Lanka to be seen as a country good for foreign investments. SLU has been expanded to become Global Unites, including several countries from all around the world aimed at building peace and reconciliation among nations. 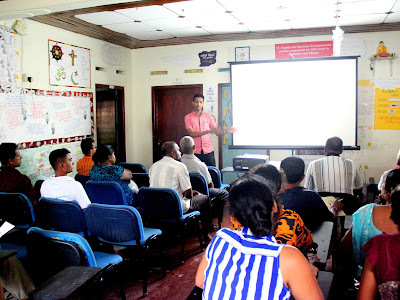 The movement will also be hosting an investor ‘shark tank’ of sorts in Sri Lanka in the coming months where students from all over the country will be able to present their business proposals to investors who will help finance and mentor them. 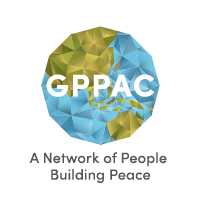 "Counter-radicalization; conversations that work- observations by Sri Lanka Unites"
“ International Conference on Trends in Youth Radicalization in South Asia” organized by the Regional Center for Strategic Studies (RCSS) and Global partnership for the prevention of Armed Conflict (GPPAC). We thank RCSS, GPPAC and especially UNOY (United Network for Young Peace-builders) for giving us a platform to share our learnings. Since the conference was on tends in youth radicalization, the following points were presented by Neluni Tillekeratne, Co-National Director of Sri Lanka Unites at this event as comments to support the conversation. The points which were raised on behalf of SLU at the event are elaborated in this blogpost. Upon understanding reasons for youth radicalization, SLU tried and tested three catalysts for reconciliation. The transformative process of a racist student is one which we have been studying for a while now, and we have invested a lot of time understanding what it really takes for a young person to reconcile along ethnic and religious lines. In Sri Lanka where the war ravaged across the country for three decades, it is not surprising that Reconciliation does not happen overnight. Based on our experience, there are numerous factors that we must be cautious about when designing modules on peace building for young people. It is extremely important for SLU to share this belief of ours with everyone because we do believe that forgiveness should be mainstreamed as a crucial pillar of youth reconciliation. SLU has been practicing this approach since 2007 and it is by far one of the most powerful turning points in a young person’s journey towards healing and reconciliation. In our experience, we see that forgiving another community for what they have done to your community, while simultaneously asking forgiveness for what your community has done to theirs in the past gives young people new hope and a blank slate to start with. Its easier said that done, requiring hours of very deep, reflective, emotional conversations, but it is possible. SLU facilitates these conversations at events throughout the year. In the context of Sinhalese and Tamil youth, after the war, we observed observed that the act of forgiveness becomes some sort of a “truce”, that the older generation failed to come to. However, the inclusion of forgiveness in as an approach to reconciliation does not by any means undervalue or ignore the need for conversations on justice, unanswered questions or addressing on-going grievances. Forgiveness is observed as a means of merging two groups of young people into agreement, giving them a platform off which they could launch to take up each others causes and do what they can to correct the faults and mistakes of the previous generation. We have observed that a vast majority of young people urgently need to learn how to read politics better and to understand for themselves, of the spill over of politics into religious and ethnic conflict. We explain to young people how many atrocities and injustices in the past are rooted in the power struggles of politicians and not in the genuine hate of one community towards, another. This is also where we bring in an element if inter-generational dialogue where the older community explains the history of our conflict, by analyzing the role of politicians in brewing it. 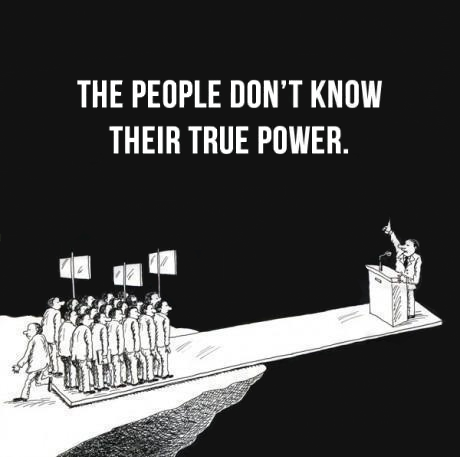 When young people come to understand the role of political influence in politics, it allows them to breakdown stereo types and prejudices that they hold against an entire group of people just because they mistrust politicians who represent this group. Reconciliation among youth is extremely different to how older people reconcile, based on our observations in Sri Lanka. We believe, the older generations looks at memorialization and the need for justice as a core-requirement for reconciliation while youth, especially the vast majority in rural areas, seek the assurance of security as they move into the future They question if their counter parts of the same age, of other ethnic/religious groups, could ensure and promise to never allow Sri Lanka to go back into a dark era of conflict We do believe that young people want to trust other young people, and this trust is where hope stems from. Racist young people of all religious and ethnic groups share their believes with us. Racist students fear that they are in competition with other racial/religious groups for economic success. They find reason to block the economic prosperity of others given their own insecurities for the future. The rising cost of living in Sri Lanka fuels young people, who in many instances are bread winners for their families, to find someone to blame. Politicians allow the blame to be transferred to other groups instead of to the government. When SLU was faced with this question, we tested out envisioning activities. After many years, we confirm that when young people envision a future where all proper and thrive, they are far less prone to radicalization. Once we show them the possibilities of a future with shared prosperity and encourage different groups to prosper by working together instead of against each other, their hope is renewed.